Chris Herren has been to the top of the mountain but has also seen the worst that can happen when addiction takes hold. Since going public with his story, he uses his voice to help educate others about the dangers associated with drugs and alcohol. The message is clear; Make a positive difference in the lives of others. The GM’s Perspective: It’s been a couple years since we talked and I can’t even count the amazing things you’ve been up to…First, knowing the importance of family, what’s it like knowing your son, Chris is following in your footsteps? Chris Herren: It’s been great. I couldn’t be more proud as a parent. It’s way bigger than basketball. It was an opportunity to go to one of the best schools in the country. It was an opportunity that I didn’t take advantage of and to see him has been extremely gratifying. He’s his own man and is blazing his own trail. GMs: It looks like you’ve officially rebranded as Herren Talks. Can you shed some light on how that came about? CH: With Herren Project, Herren Talks, Herren Wellness, it was a lot of brand confusion. We have over 700 runners in Herren Project and we had our own community, but we wanted to bring everyone under one umbrella. Everybody has the same mission and we’re focused on the same target; substance abuse, prevention, education, assistance, treatment navigation, and recovery. To bring it all under one umbrella and one brand has been tonnes of work but in my opinion, necessary and very rewarding for us. GMs: This is now our fourth interview, and to say I’m grateful is an understatement. I remember reading your book in 2011 and I won’t lie it changed my life. I know I’m not the only one you inspire. Did you ever think after all these years you’d be in the position you’re in? CH: I often have to pinch myself. I had no idea what my life and what opportunity would be in front of me, especially the lives that we’ve been able to affect. I honestly, often times, I just can’t believe I’m living the life I live. If you asked me six years ago in our first interview, I would’ve never imagined I’d be this far along with it. The beauty of it is, it wasn’t my intention. It wasn’t something where I sat down and said this is my goal. This all happened organically and happened because somebody helped me. Somebody took the time to give me a second chance. Because of that second chance, I watched my whole family change. I watched lives change of everyone who loved me and cared for me. I wanted to be part of that. Because of that, we’ve morphed into the Herren brand and three companies. You’ve been on this journey with me. You’ve supported me and you’ve believed in me. I appreciate that. GMs: Herren Wellness – Holistic wellness services that guide guests through a process of self-reflection and discovery. This is such a great achievement. How did this come about, and what can you share about the organization and the people you work with? CH: I wanted to do it differently. I saw a void. I wanted people to have a change in long-term care and treatment. I wanted to offer more and provide more services around recovery to support it. The holistic approach to me was to add yoga, mediatization, acupuncture, massage therapy, personal training, and nutrition. All these very healthy resources will stay with you when you leave. It can be sustaining recovery long-term. I believe in the 12 steps, I believe in AA, but I also believe it’s not for everybody. I wanted to offer as much as possible. If someone is going to walk out of Herren Wellness and develop this healthy habit of exercise and living well, and it helps them in their recovery, that’s what it’s all about for me. Herren Wellness is about offering more, providing more, and supporting people in their recovery through addiction. GMs: You’ve presented and spoke to thousands of kids, parents, athletes etc…Is there anything that surprises you any more or anything that provides that a-ha moment? CH: The courage. Everyday I witness an extreme amount of courage from kids who want to disclose, who want to share, and who want to talk about their struggle. The reality to this is we haven’t done enough. We don’t provide enough and we don’t offer enough. To be frank, we don’t take this seriously enough. My prevention piece is all about introducing wellness into our school system. To me it’s shocking it’s not a core class in the schools. With all the obstacles that kids have to face these days, we do very little to help guide them and arm them with the resources to deal with it. As a community, as a country, and people, in general, we need to be better for them. 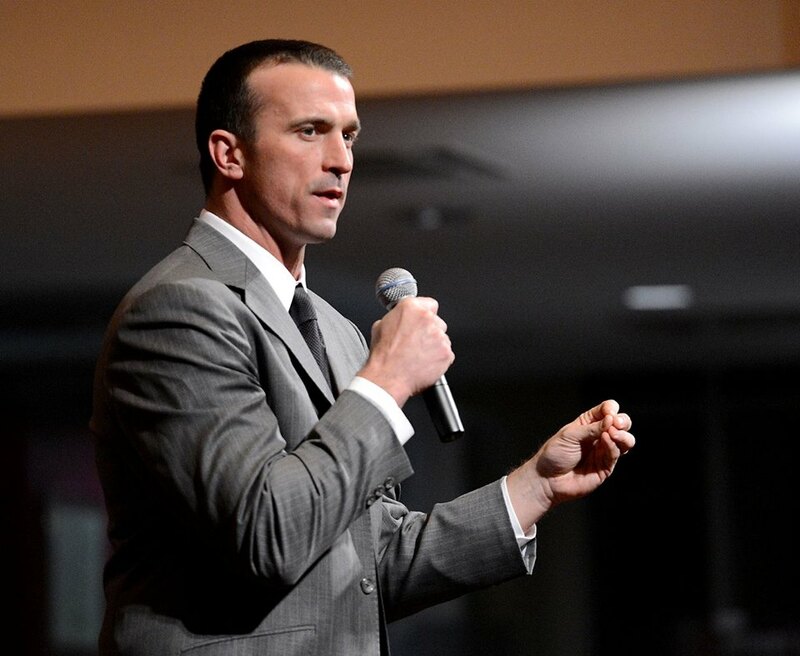 GMs: What’s next for Chris Herren? CH: One day at a time. There’s no projecting. As I said in our first interview if I would have asked myself that question I would’ve sold myself short. I would’ve had no idea I’d come this far. I’d have no idea the amazing people who would support me. It’s an absolute honor and a responsibility to walk this journey with people. To watch them come through the doors of Herren Wellness broken in many ways and leave with a smile on their face and hopeful, ambitious, and wanting to embrace life again is something you can’t buy. To be a part of it and to witness it is a blessing for me. It’s what I’m truly grateful for.